This spring, 18 new “homes” in the upper Raritan River watershed await New Jersey’s smallest falcons, American kestrels. These raptors – formerly nicknamed sparrow hawks – were once common in the 470-square-mile watershed, which covers parts of Somerset, Hunterdon and Morris counties. But the last 50 years, kestrel populations plunged by over 80 percent in the northeast, mostly due to habitat loss and a shortage of natural nesting cavities. Pesticides may be another factor in their decline, reducing food sources like insects, frogs, salamanders, snakes and small rodents. Kestrels are currently classified as threatened in New Jersey, but could soon be re-classified as endangered if their numbers don’t improve. 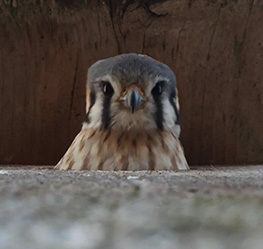 Hoping to help kestrels make a comeback, the nonprofit Raritan Headwaters Association (RHA) has partnered with the New Jersey Department of Environmental Protection’s Endangered and Nongame Species Program (ENSP) on a project to provide them with more places to nest. ENSP and RHA recently put up 18 wooden boxes – six at its preserves and 12 on private property – and is hoping to at least double that number in the next year. Kestrels hunt for prey in natural meadows and clearings, as well as farm fields and pastures. They nest in cavities but, unlike woodpeckers, aren’t able to excavate their own. Instead, they use old woodpecker holes, natural tree hollows and rock crevices. These places have become harder to find due to development and so-called “clean” farming practices, in which trees and brush between fields are removed. Kestrels also face competition for nest cavities from starlings, an invasive, non-native species. That’s where the nest box project comes in. Kestrels will readily accept man-made wooden nest boxes, as long as they’re placed at the right height in locations at the edges of meadows, fields and pastures. A year ago, Raritan Headwaters sent out letters to a group of local landowners with large properties, asking if they would consider providing sites for kestrel nest boxes. Those interested came to a presentation by Bill Pitts, senior zoologist with ENSP and lead on the NJ American Kestrel Nest Box Project, who explained kestrels and their nesting requirements. Eighteen sites were chosen in Bedminster, Far Hills, Peapack-Gladstone, Bernardsville, Tewksbury and Branchburg. These include RHA’s Fairview Farm Wildlife Preserve in Bedminster and Fox Hill Preserve in Tewksbury. 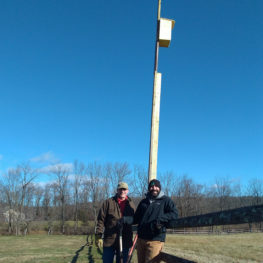 Ken Snyder, a volunteer from Mendham, was recruited to help install the nest boxes on tall poles equipped with predator guards to keep snakes, raccoons and other predators away from eggs and chicks. “When I heard the story about kestrels not having enough places to nest, I was interested,” said Snyder, a bird lover who retired last fall. 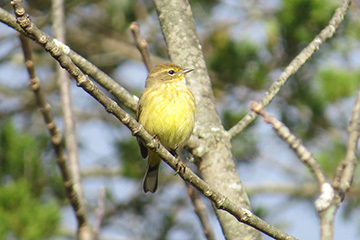 “We have a lot of really nice locations for the nest boxes – a lot of fields. Snyder will also work with ENSP volunteers to monitor the boxes during the nesting season. Data will be recorded using an app and sent to ENSP. When a pair of kestrels are found nesting, the adults and young will eventually be banded by Pitts. 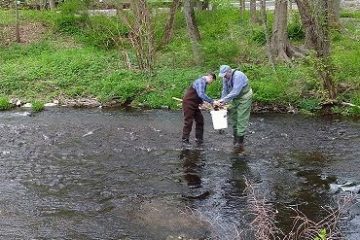 Landowners and volunteers will have the opportunity to participate. “It’s a fun project to be involved with and hopefully we’ll help a bird species come back and have a greater population,” said Snyder. Other nest box monitors will include Harry Quinn of Raritan Township, Ted Lurker of Bedminster and Alan Rennie of Califon. 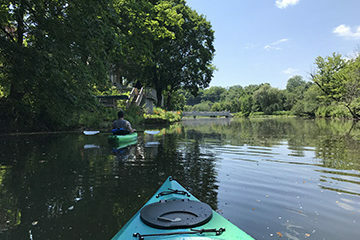 Cindy Ehrenclou, executive director of Raritan Headwaters, said the kestrel nest box project complements RHA’s clean water mission as healthy land and healthy water go hand-in-hand. The Raritan Headwaters project is part of a larger statewide effort to provide nest boxes for kestrels wherever appropriate habitat exists. Pitts estimated that, as of this spring, there are currently 300 to 400 boxes in New Jersey.